Raised to rule over Brittany. Lovingly conscientious to her husbands, both kings of France. Faithfully conscientious to her Breton subjects, over which she ruled from the age of eleven. Ever since picking up Mildred Allen Butler’s book on Anne of Brittany a few years ago (Twice Queen of France: Anne of Brittany. 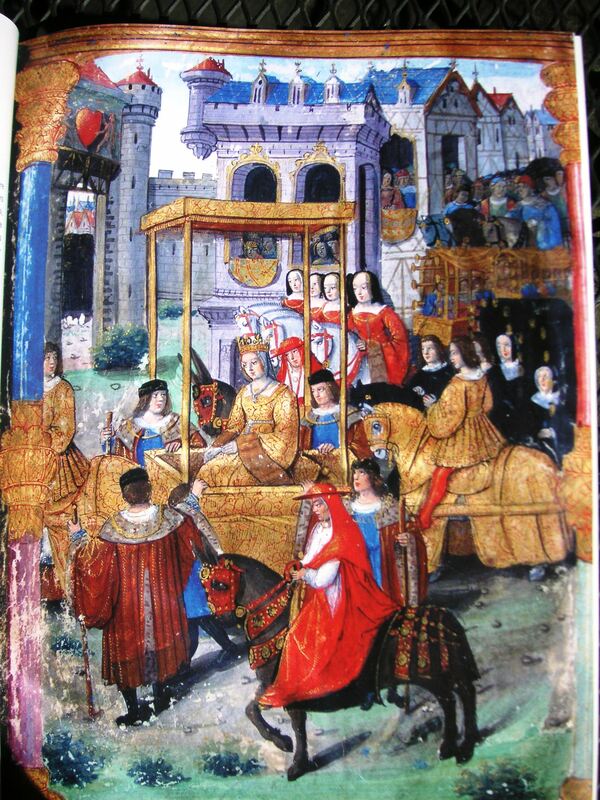 New York: Funk & Wagnalls, 1967), I’ve been fascinated by this French queen who came to power at age eleven as ruler of Brittany, then became queen of France at age fourteen. 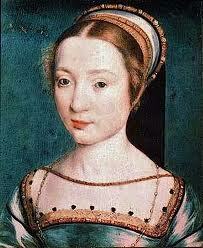 Anne of Brittany’s travails trying to bring live children into the world rival any woman’s in history. This girl/woman went through the wringer as a mother. Her fourteen pregnancies resulted in the survival of two children, both daughters.The rest? Three miscarriages, five stillborn infants, one son dead after three hours, one daughter dead after one day, another son lived three weeks, her longest living son survived to age three when he succumbed to measles. As a public figure, this queen’s drama played out on the stage of all of France. If I had made this up, readers wouldn’t believe it. But it’s all true, and carefully historically documented. 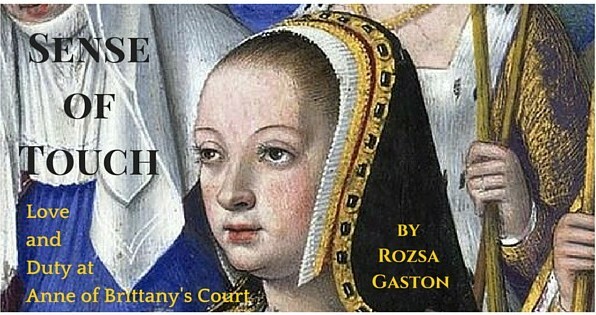 I began to wonder why Anne of Brittany’s story is not well known. Many modern women share the same secret heartaches their medieval and ancient sisters suffered: pregnancy loss, inability to bring a live child into the world, inability to keep a child alive once born. Women still struggle with these issues and still suffer in silence when pregnancy and childbirth loss occurs. My heart aches for every one of them. I wanted to bring alive Anne of Brittany’s tale for modern women, may of whom share her story in suffering and in courage. At the same time this brave woman endured continual personal tragedy she achieved great success as queen of France. She provides the world with an exceptional model of fortitude and resilience in the face of great personal suffering. 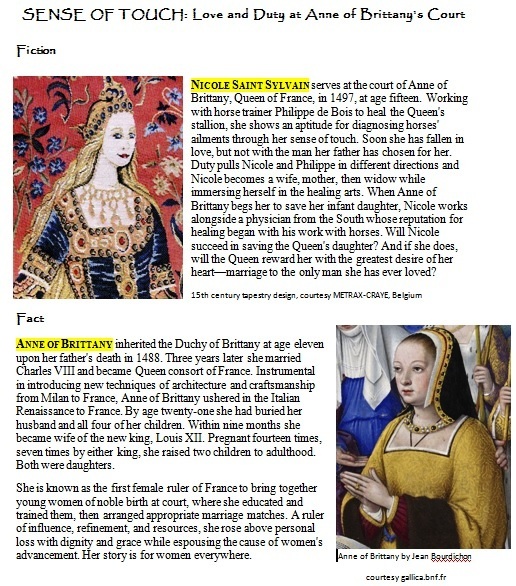 Brava, Anne of Brittany! 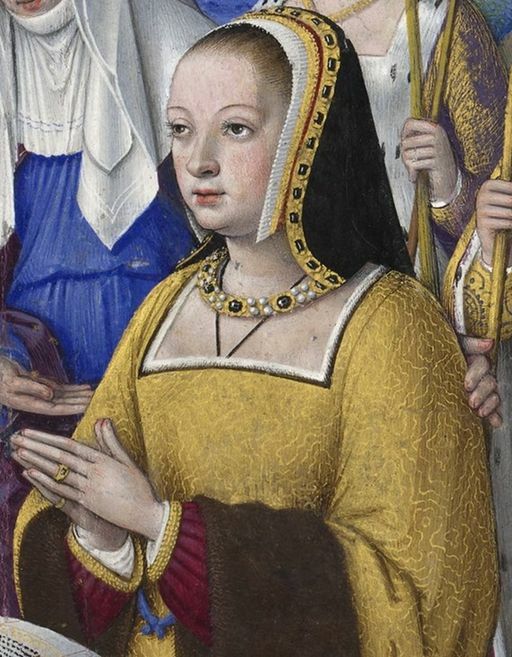 Anne of Brittany ruled over the most sophisticated court in Europe. She helped usher in the glories of the Renaissance from Italy to France. She ran the first finishing school for young women of noble birth, educating them in book learning and estate management and supplying or supplementing their dowries when they married. 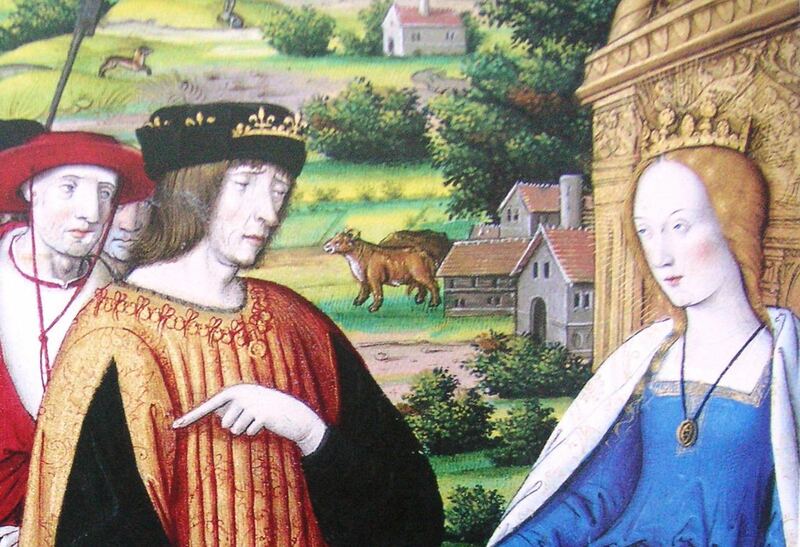 Both of Anne of Brittany’s husbands were madly in love with her. 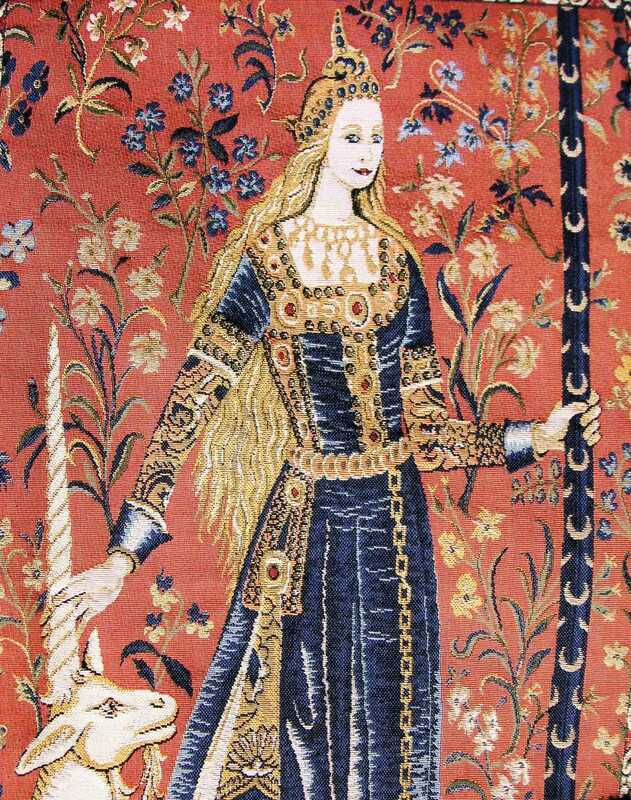 Neither considered putting her aside despite her inability to produce an heir for the throne of France. Her second husband, Louis XII of France, died less than a year after her death at the age of thirty seven. It was said that he never recovered from her death. 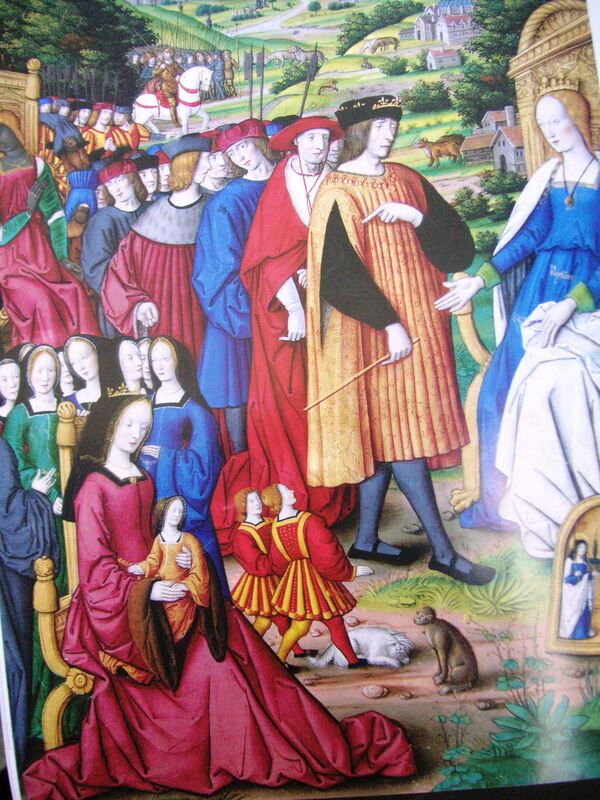 Anne of Brittany was renown all over Europe as a matchmaker. Rulers of other European countries, including King Ferdinand of Spain after his wife Isabella’s death and the king of Hungary sought her advice in choosing a suitable spouse for them. I could say more, but I’ll save it for the sequel. 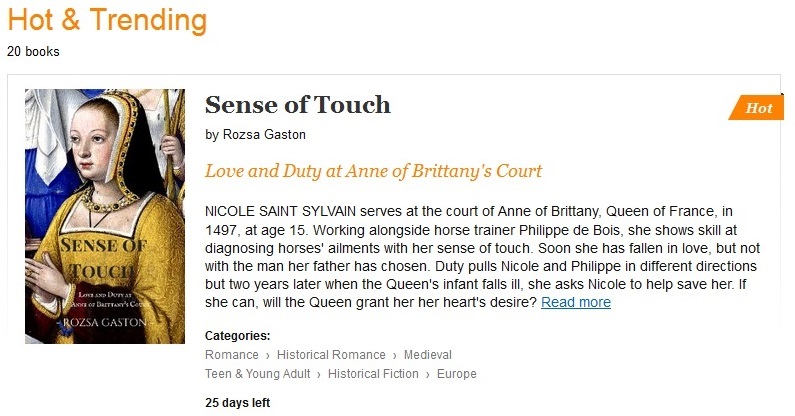 Anne of Brittany: Girl Who Ruled a Country should arrive in early 2017. 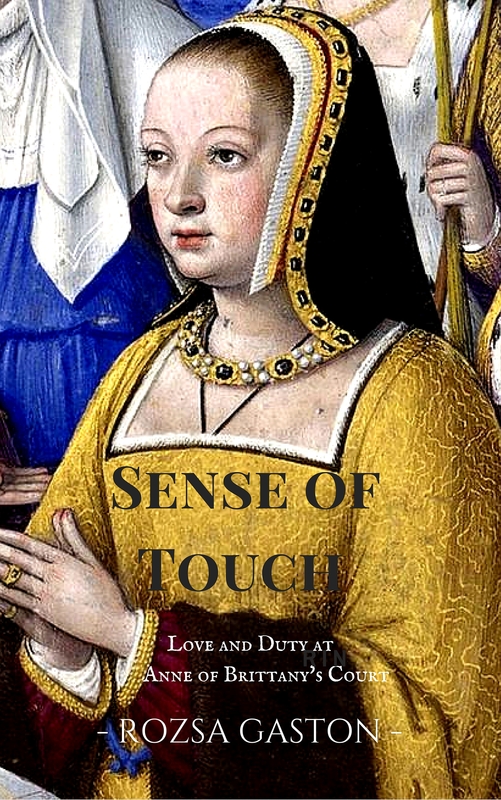 Meanwhile, please join me in discovering the remarkable historical figure of Anne of Brittany in my new release Sense of Touch.